With 2020 clean-energy targets to meet, China is set to accelerate the building of hydroelectric dams, reversing a long halt caused by environmental concerns and the social upheaval of relocating people living in the shadow of dam sites. The trend will create a "golden decade" for the nation's hydropower sector, analysts say, as high fuel prices continue to squeeze margins of coal-fired power plants that comprise the bulk of China's electricity-generating capacity. Renewable energy sources like solar power have been slow to come on line on a big scale because of high costs and grid configuration problems. The Chinese government now aims to have 430 gigawatts of hydropower capacity by 2020, increasing its earlier target of 380GW, the China Securities Journal reported last month, citing unidentified sources. "That means each year, the equivalent of one new Three Gorges Dam will be added in China over the next decade," said Shao Minghui, an analyst at China Post Securities, using the 2020 target of 380GW as a base. "The market is really sizable." The 18.2GW Three Gorges Dam, which spans the Yangtze River and is located in Yichang, Hubei Province, is the world's largest. A revision of targets in the 12th Five-Year Plan that starts this year calls for China to increase construction of conventional hydropower plants by about a third to 83GW and to raise the construction of pumped-storage hydro-capacity by 60 percent to 80GW, the China Securities Journal reported. The revision is pending approval before the National Development and Reform Commission. In pumped-storage hydropower generation, water is pumped from a lower elevation reservoir to a higher elevation by using low-cost, off-peak electric power, and then is released to generate power during periods of peak demand or when electricity prices are higher. China's hydropower generating capacity reached 200GW as of August accounting for more than a fifth of the nation's total power-generation capacity. The last operating unit to be added was in Yunnan province in China's southwestern corner. Shao estimated that the conventional hydropower sector will need an investment of 900 billion yuan (US$136 billion) by 2020, of which 140 billion yuan will be spent on equipment. 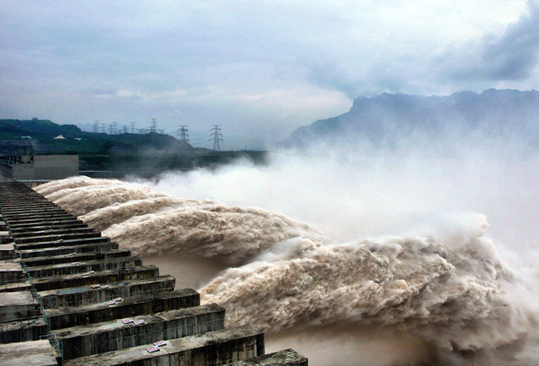 This may benefit listed companies such as hydroelectric works contractor China Gezhouba Group Co and equipment supplier Ningxia Qinglong Pipe Industry Co.
China had planned to install 70GW of new hydropower projects as part of its 11th Five-Year Plan, but construction was started on only about 20GW. Delays, especially of large-scale projects was mainly caused by the massive amount of human relocation the projects require and concerns about the environmental damage to surrounding landscapes. The government's attitude, however, appeared to be changing since the second half of last year. In July, China Huaneng Group and China Huadian Corp, two of China's main state-owned power groups, won clearance from the Ministry of Environmental Protection for major dams on the Jinsha River, the upper reach of the Yangtze River. In June 2009, the ministry had ordered a suspension in construction because of environmental violations.